Is it possible to encourage peace in Africa? Yes, it is definitely possible to encourage peace in Africa. We can do this by continually expanding the scope and innovating the ways in which peace in Africa is encouraged. For example, our global community, often uses nongovernmental organizations (NGO’s) to speed development in Africa. These NGO’s are often funded by companies and individuals but I would like to see more middle school students get involved. I think we should expand the scope within our global community in terms of encouraging peace in Africa. One practical way to accomplish this, is to build a compassionate and enthusiastic global community of middle school students to initiate lemonade and hot chocolate fundraisers that can raise money for the effective NGO’s that are helping to build peace in Africa. We should also develop innovative ways to encourage peace in Africa. One practical way to accomplish this, is to participate in ‘small acts’ that have a huge ripple effect. At Pencils for Africa (click here for the website) our team has learned much about the value of ‘small acts’ from watching the film, A Small Act, about one of our Executive Board members (click here for the Executive Board) of Pencils for Africa, Mr. Christopher Mburu. Mr. Mburu’s example of receiving a modest scholarship (a small act of kindness from an anonymous benefactor) to attend secondary school in Kenya when he was my age (13) had a vast ripple effect. He eventually graduated from Harvard Law School and today he is a human rights lawyer for the United Nations in Rwanda. Over the past two years, the Pencils for Africa team has interacted with a diversity of projects and people on the ground in Africa. The lessons we have learned from the example of pioneers like Mr. Mburu, have helped us to know that there is room for expansion in the way we see Africa and in what we can do to encourage peace in Africa. By building our understanding of NGO’s such as the Hilde Back Educational Foundation, which was founded by Mr. Mburu, we have also come to understand what effective NGO’s can accomplish in the field of African development methodologies. This has been both informative and humbling for those of us on the Pencils for Africa team. What are you doing to encourage peace in Africa? Working closely with my fellow Pencils for Africa team members we have developed One Pencil Per Child (click here for the website). 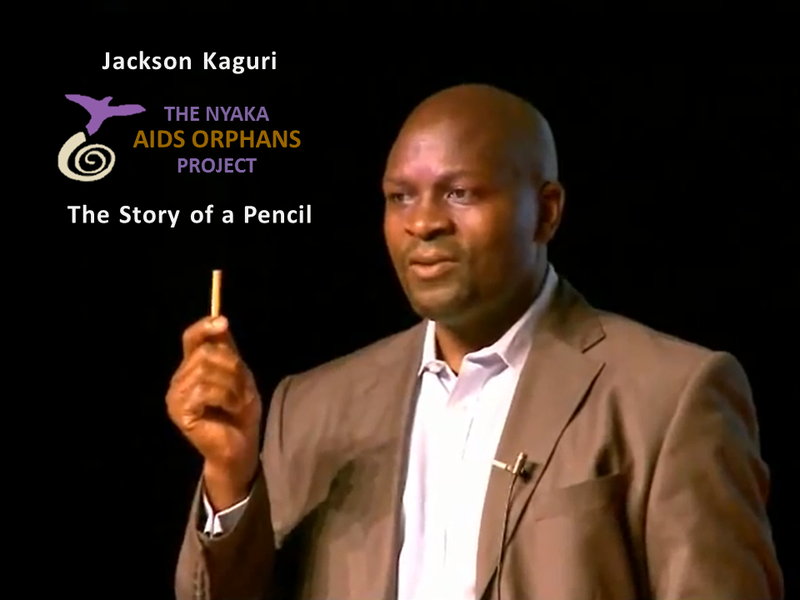 The concept for One Pencil Per Child was originally inspired by our Executive Board member and Global Ambassador for Pencils for Africa, Mr. Jackson Kaguri. Growing up in Uganda, Mr. Kaguri and his four siblings were only permitted to attend the free public school in their community, if they brought their own writing instrument to school. Otherwise, they would be turned away from school. Mr. Kaguri’s father could only afford to purchase one pencil for this five children at the start of every school term. Mr. Kaguri’s father would therefore cut the pencil into five separate segments, and Mr. Kaguri and his brothers and sisters would arrive at school every term with just one-fifth of a pencil so that they could be allowed in. Today, Mr. Kaguri, like Mr. Mburu, has a remarkable life story and legacy. Mr. Kaguri went on to graduate from college, became a visiting scholar at Columbia University, an internationally renowned author, a spokesman to the United Nations, and a CNN Hero. The impactful ripple effects of a modest scholarship for Mr. Mburu, or of just one-fifth of a pencil for Mr. Kaguri, are just two of many examples that have inspired the Pencils for Africa team. If such amazing results can be accomplished with frugal donations of small sums of money or a handful of pencils, then the Pencils for Africa team feels that there is a place for middle school students within the expanding dynamic of peace building in Africa. This is why the Pencils for Africa team has conducted fundraisers and donated pencils to Africa. 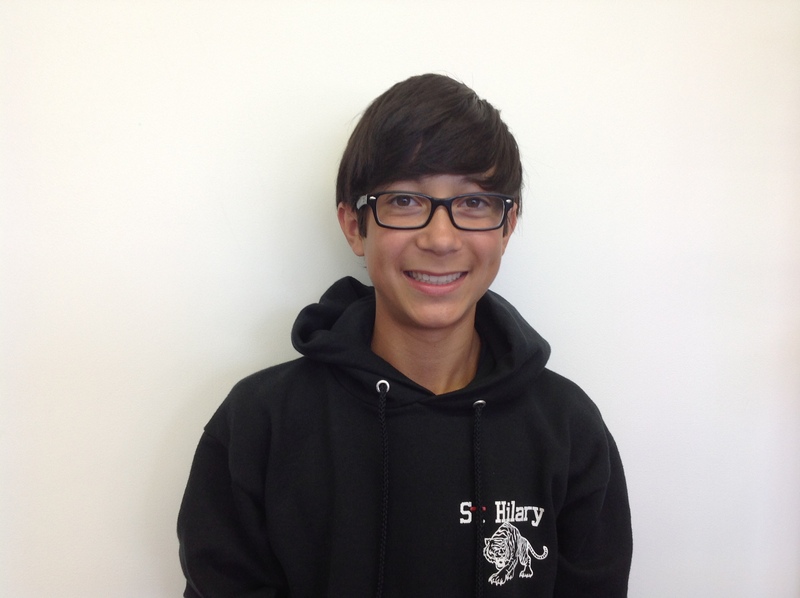 Our school fundraisers have raised money for Hilde Back Educational Fund (click here for the website) founded by Mr. Mburu and for Nyaka Schools (click here for the website), a cluster of orphanages founded by Mr. Kaguri, as well as several other NGO’s working in Africa. We have also collected pencils at our school to send to economically challenged schools in Africa, including children who have survived civil war in the Congo and in South Sudan. 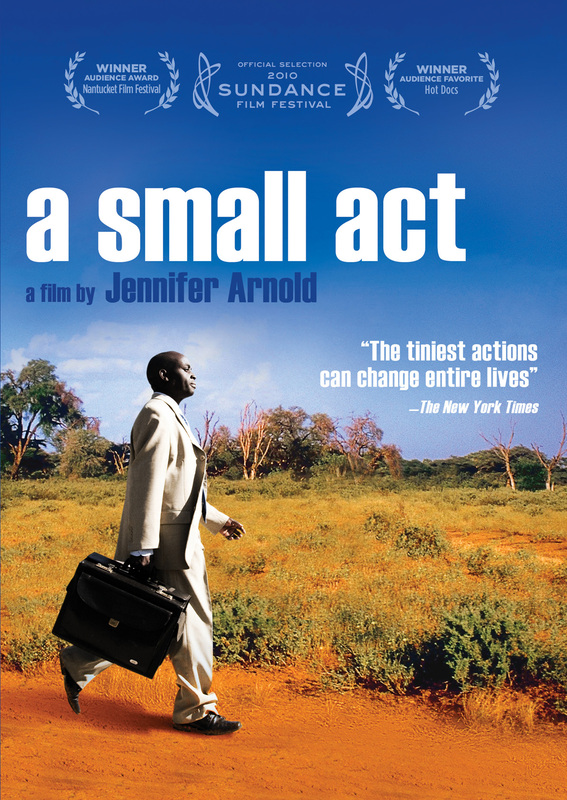 These small acts have had large impacts and have also expanded our hearts. As our awareness of the realities of Africa have expanded we have begun to develop more strategic programs such as One Pencil Per Child. 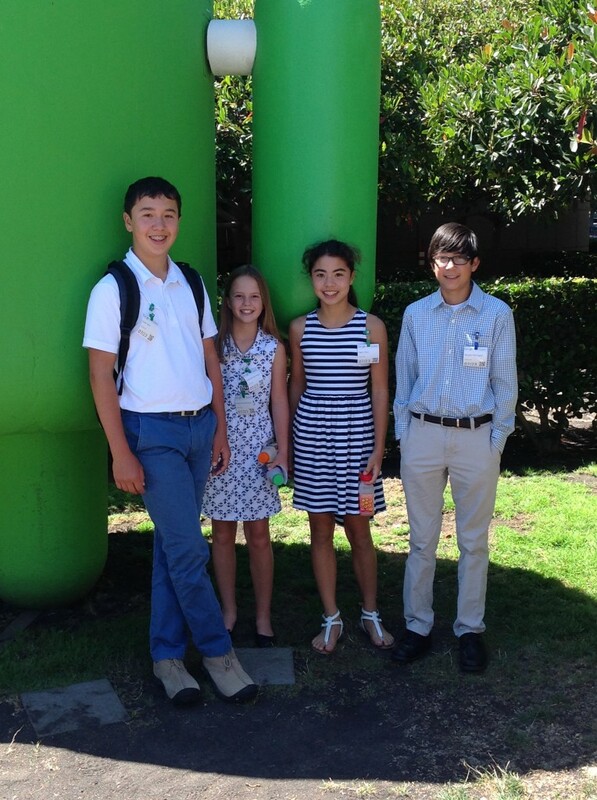 In July, 2014, I presented One Pencil Per Child at Google Headquarters in Mountain View, California (click here for the Google Presentation). What can others do to encourage peace in Africa? Two potential areas for encouraging peace in Africa are in the areas of the Digital Divide and of Corporate Social Responsibility. Through our interactions with communities in Africa, the Pencils for Africa team has learned important lessons about the Digital Divide. 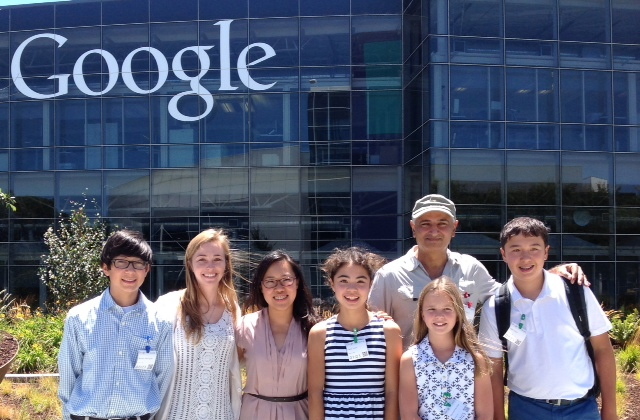 My school is located in the San Francisco Bay Area which is the worldwide hub of technology. When the Pencils for Africa team, all of us between the ages of 11 and 13, attend our weekly meetings, we all bring our iPads and our iPhones. It has thus been humbling for us to learn that there are schools in Africa where more than 30 children our age, will share a single pencil; that millions of African children have no access to a computer. This shows the incredible Digital Divide that exists between my local community in California and some communities in Africa. One Pencil Per Child is one of many potential methods that need to be developed to bridge this Digital Divide with Africa. There is also a lot of potential to engage corporations in small acts of global good citizenship toward the African continent. 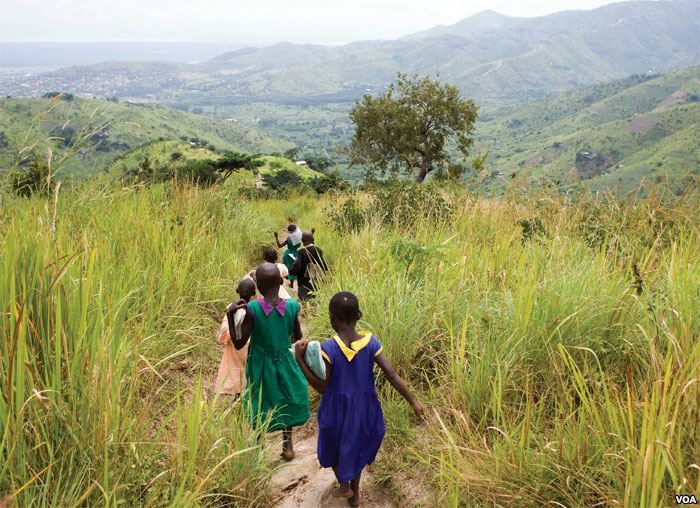 The corporations who donate to scholarships to the future Mr. Mburu’s and the future Mr. Kaguri’s, (who have both done amazing work for United Nations peace building initiatives), will help create a more peaceful Africa, and a more peaceful world. In a more peaceful world, it is easier and more efficient for corporations to conduct business and sell their products. As the Editor-in-Chief of One Pencil Per Child, my immediate task for the year 2015 is to write letters to corporations that manufacture pencils in the US and in Europe. I shall be respectfully requesting these multinational corporations to donate pencils to those communities in Africa that are on the less fortunate side of the scale of the Digital Divide. The African children in these communities need access to pencils to either attend school, or to just study more effectively while at school. By using the idea of Corporate Social Responsibility to address the issue of the US and Europe’s Digital Divide with the continent of Africa, One Pencil Per Child can help deliver education to more children in Africa.